Elizabeth frequently writes and speaks on issues relating to employment law and conducts harassment and discrimination trainings for employers. 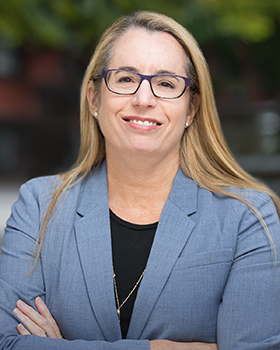 Elizabeth joined Sussman Shank in 1998 after starting her legal career in 1992 as an associate with Rosen & Reade, LLP in New York. Elizabeth's cases include representation of such clients as Bob's Red Mill Natural Foods, Inc., Backyard Birdshop, EmpRes Healthcare, Inc., Bridge City Cafe, BeginRight Employment Services and Realty Trust Company. Ask The Lawyer: How Should We Address Employees' Use Of Personal Cell Phones, Laptops And Tablets For Work Either At Our Facility Or Off-Site? Employers: What's Age Got To Do With It? What does the Lilly Ledbetter Fair Pay Act mean to you? When is an Employer's Failure to Pay Wages on Termination Willful? When is a Holiday a Holiday? When Can Double Penalties be Imposed? When Does an Employer's Burden to Prove Undue Hardship Arise?